SCYF wanted to share some great news that was released earlier this afternoon. 9 of 10 local public high school programs are in full support of our local Pop Warner programs in the belief of what it does for our young student athletes. These high school coaches support the ideals that players get to play in a competitive environment, with friends they go to school with, and play against kids in the same age/weight category. Back by popular demand, we have another Friday Night Lights event coming up for 4th – 8th grade athletes on Friday, February 8th, 7:00-8:30pm at the SCHS stadium! Learn the latest training drills and techniques for flexibility, balance, explosiveness, and core strength! This camp is free! Congratulations to our SCYF Triton Varsity Dance team who are National Champions. The Pom team took 1st place at the National Pop Warner Cheer and Dance Championship at ESPN Wide World of Sports in Orlando, FL at Walt Disney World. Congratulations to our Mitey Mite team on their playoff win in the 2018 Wescon championship game. Our team was led by coaches Chance King, Matt McCarty, Parker Wondries, Steve Oprian, Antero Diez, Matthew Geldermann with critical support from Megan Harris, Lori McCarty and Cody Lonsway. South Coast Pop Warner provides flag football, tackle football and cheerleading to athletes ages 5-15. We serve player boundaries of : San Clemente, Dana Point, Capo Beach, Laguna Beach, Camp Pendleton and free draw zone portion of Laguna Niguel and San Juan Capistrano. Friday Night Lights Football Skills Camp for 6th to 8th Grade. Bring: Football Cleats and/or tennis shoes, shorts and t-shirt. Learn about STUNT the sport and practice a STUNT style routine for each quarter of the game: 1st Quarter Partner Stunts, 2nd Quarter Pyramids and Tosses, 3rd Quarter Jumps and Tumbling, 4th Quarter Team Routine. South Coast is part of the Orange Empire Conference, a Pop Warner Little Scholars organization. 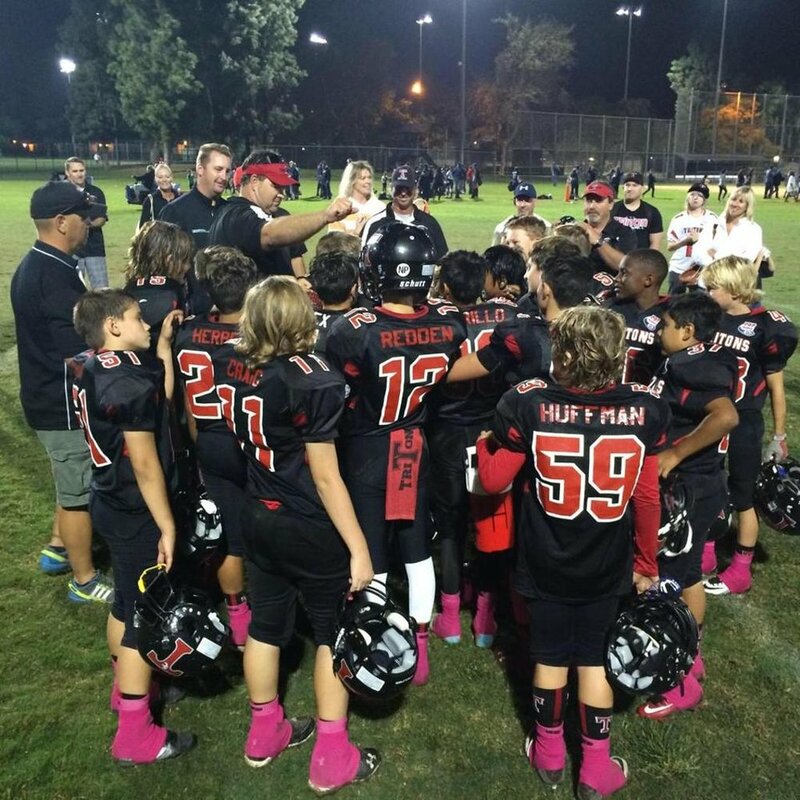 Pop Warner is open to players ages 5–15 years. SCYF includes flag and tackle football as well as a cheerleading program. Pop Warner incorporates a philosophy where academics and athletics go together. There are no All-Star teams in Pop Warner Football. Participants are recognized for their academic achievement at the local, conference and national level. Have a question or comment for us? Use the form below and we’ll get back to you as soon as possible.